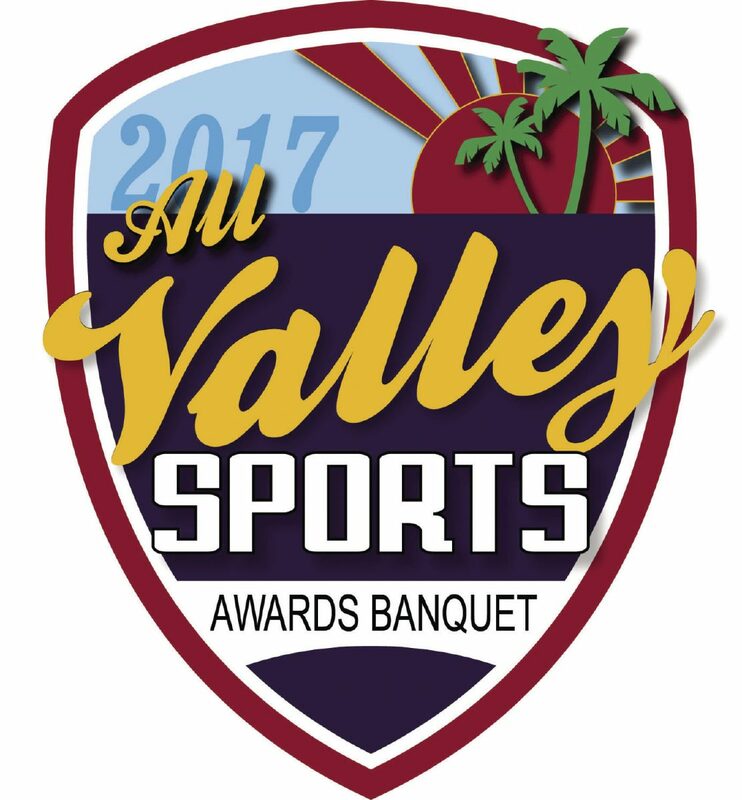 Three players from state qualifying teams are in the running for Boys Soccer Player of the Year, while the nominees for Girls Soccer Player of the Year include a pair of the most gaudy statistical seasons in Valley history. >> Manuel Castrejon, La Joya Juarez-Lincoln: Castrejon, a junior midfielder and the District 30-6A Most Valuable Player, scored more than 20 goals this season and was Juarez-Lincoln’s primary distributor. His play was a major reason La Joya Juarez-Lincoln won the 30-6A title and advanced to the UIL Class 6A state tournament for the first time in program history. 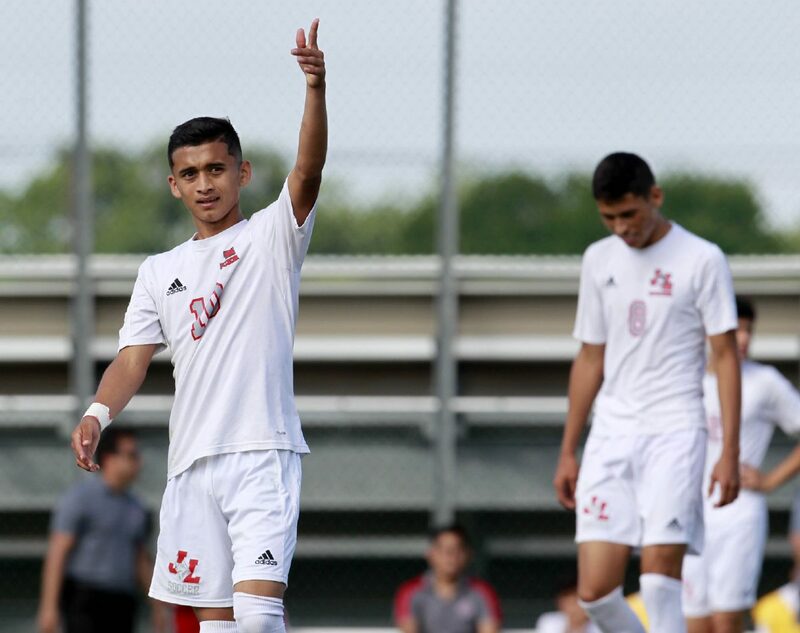 >> Jose Echavarria, Brownsville Lopez: Echavarria, a junior forward/attacking midfielder, led the Lobos with 27 goals and had 10 assists in helping his team reach the UIL Class 5A state tournament as the third-place finisher from a highly competitive District 32-5A. 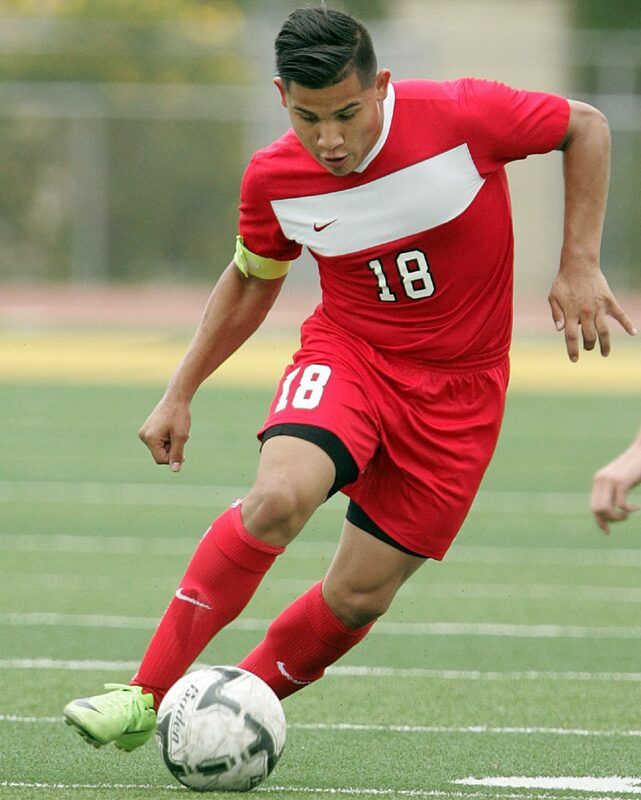 The Lobos won five games in the state playoffs and Echavarria frequently provided his team with the game-winning goal, including during the regional final, in which his tally gave Lopez a 1-0 victory against Brownsville Veterans and sent the Lobos back to state for a Valley-record fifth time. Echavarria was the overall MVP in 32-5A. >> Hugo Guajardo, Progreso: Guajardo was at the center of the Red Ants returning to the UIL Class 5A state tournament for a second consecutive year. A midfielder and team captain who consistently generated offense down the left side of the field, Guajardo finished the year with 22 goals and nine assists. >> Krysta Armstrong, Edinburg Economedes: Armstrong missed almost the entire non-district season due to injury but still managed to score 18 goals and many more assists to lead Economedes to the first undefeated district season in program history. As a result, Armstrong was named District 31-6A MVP for the second consecutive year. 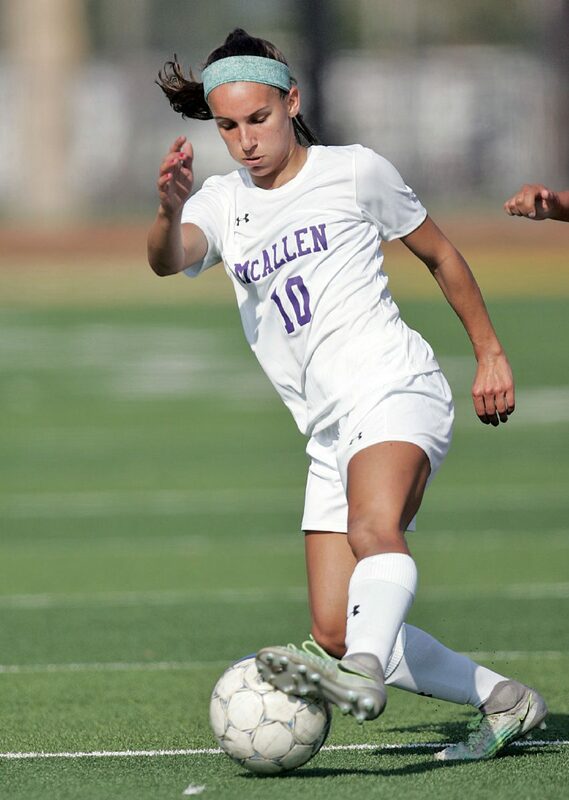 >> Anna Hover, McAllen High: Hover set a new school record and posted the second-highest total in Valley history with 63 goals. 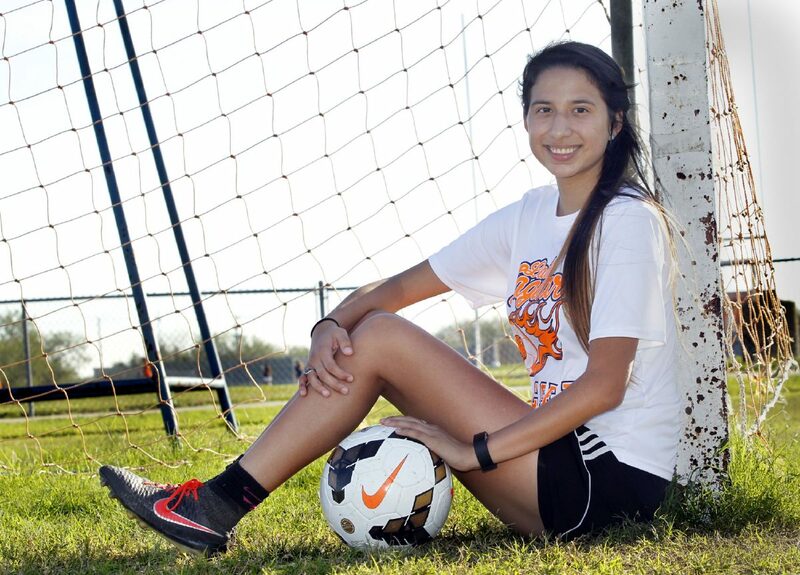 A senior central midfielder who is committed to play at UTRGV next year, Hover led the Lady Bulldogs to a dominating, undefeated run through district play. >> Tanya Prazelini, senior, Los Fresnos: Prazelini, a forward, scored 68 goals during the 2017 season, which is believed to be a Valley single-season all-time best for a female UIL soccer player. She was a main reason Los Fresnos won district for the fifth time in seven years and advanced to the regional tournament for the sixth time in eight seasons. Prazelini scored at least two goals in each District 32-6A match this season as the Lady Falcons won the 32-6A title with a 14-0 record. She was voted overall MVP in 32-6A.